After researching positions in the President's Cabinet, students nominate literary characters for each seat and develop presentations to promote them for the position. The President of the United States needs a board of advisors to help the make informed decisions in a range of areas. Students will research cabinet positions and nominate characters from literature to fill each position in the Cabinet. Students will choose one position and use evidence from text to develop a presentation to promote the candidate for that position. The goal of this lesson is to educate the students on the different cabinet positions and how these positions advise the President on issues faced by the United States. Since students are still forming political views, this lesson asks them to use what they know about literary characters to think deeply about skills, character traits, and experiences needed for these positions. Begin by introducing the Executive Branch of the government and the role of the President’s Cabinet. Established by the Constitution in Article II, Section 2, “the Cabinet's role is to advise the President on any subject he may require relating to the duties of each member's respective office.” As key advisors to the President, these people filling these positions must be confirmed by the Senate. Discuss skills and qualities students think the President should consider for these positions. As a class, brainstorm the ideals a cabinet member should hold and create a graphic organizer or anchor chart listing these ideals. Are there any factors that should deter the President from selecting someone for a position on the cabinet? Rather than sharing the list of posts in the Cabinet first, have students brainstorm and discuss important issues for the United States today. Then, share the list of cabinet posts and connect these positions to the issues they have listed. For example, if they mention healthcare, introduce the role of the Secretary of Health and Human Services and if they mention jobs, introduce Secretary of Labor. To help students prepare to fill and justify characters filling cabinet positions take time to explore the role or goal of each department lead by a cabinet member. After learning more about them, you might ask students to debate which role is most important, justifying their reasoning. Once students have a grasp of each department included in the Cabinet, develop job postings for each cabinet position. Have individual students or small teams choose a cabinet position they would like to fill. Students should review the experience, skills, and qualities necessary for this position and then brainstorm a list of characters from literature that would be qualified. Students will need to look at the qualities of each character and the traits that would make them the best leader for that role. Students could create a Pros and Cons organizer for each candidate to help them choose the specific character they will propose to fill the position. Traits of a leader and how their chosen character portrays these traits. Additional experiences and skills the character brings to the role. Potential drawbacks for the candidate. Once a specific candidate is chosen, students review the literature about their nominee and locate evidence that this person is qualified and fit to hold the position. All cabinet nominees must be approved by the Senate. To help persuade the senate to approve their nomination, students next create a presentation about the position. Students should to share events and evidence from the text that highlights the character’s traits and their ability to fill the cabinet post effectively. Students should also be prepared to respond to questions designed to discredit their nominee. Before students share the presentations about their nominees, choose a group to represent the Senate. 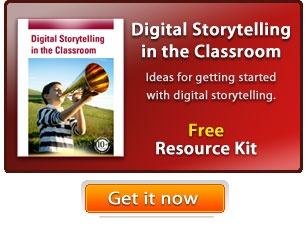 This could be comprised of students or other faculty from your school, such as your media specialist. This group should be knowledgeable of a range of literary characters and are expected to ask pointed questions about the characters, poking holes in the nominations. This group can decide if the nomination is approved. If time is restricted, have students record audio for each page of the presentation so the “Senate” can evaluate and approve the nomination. As the students work on their nomination list and nominee presentation, listen to their discussions to ensure they understand the role of the Cabinet and know their characters well enough to defend their nomination. The final presentation will help you assess their ability to analyze a character’s traits and the qualities needed to be a leader as well as more about the departments in the Executive Branch. Explain the origins, functions, and structure of different systems of government, including those created by the U.S. and state constitutions. Describe ways in which people benefit from and are challenged by working together, including through government, workplaces, voluntary organizations, and families. Explain the origins, functions, and structure of government with reference to the U.S. Constitution, state constitutions, and selected other systems of government.